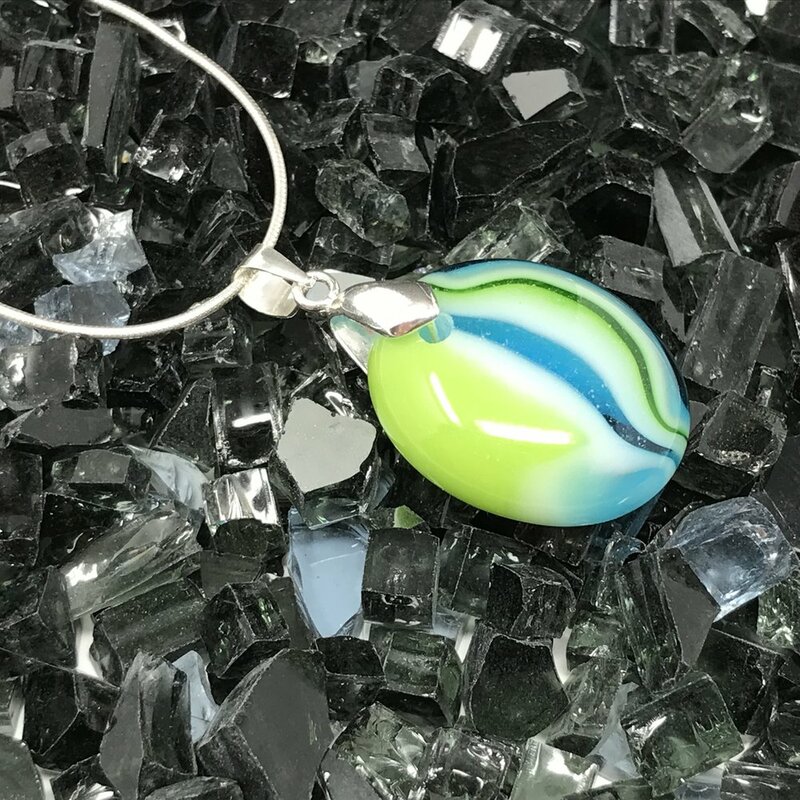 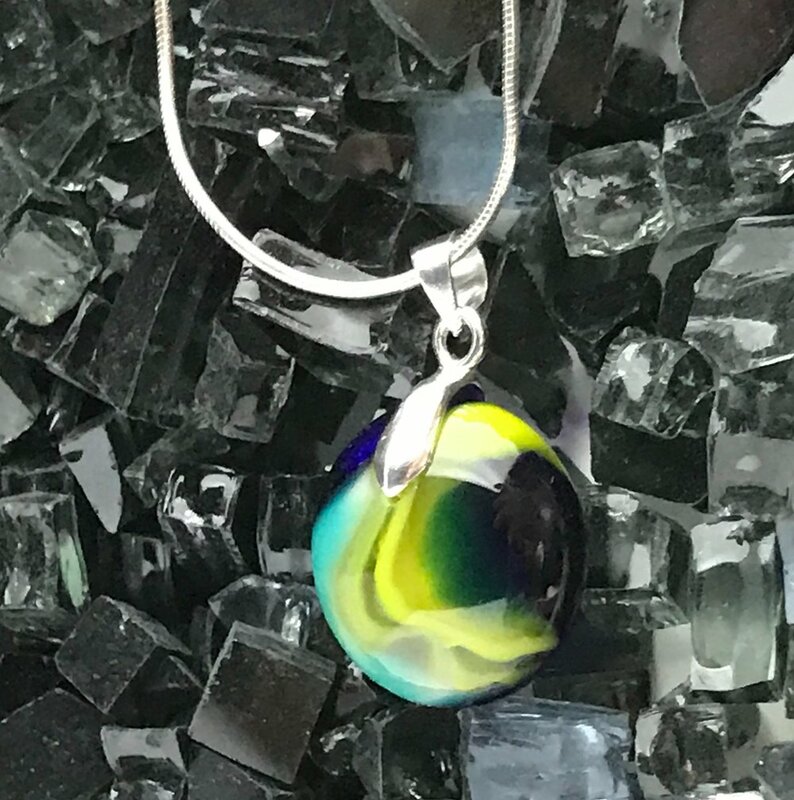 All jewelry is handmade in my studio, fused using stained glass, drilled and then adding sterling silver hardware. 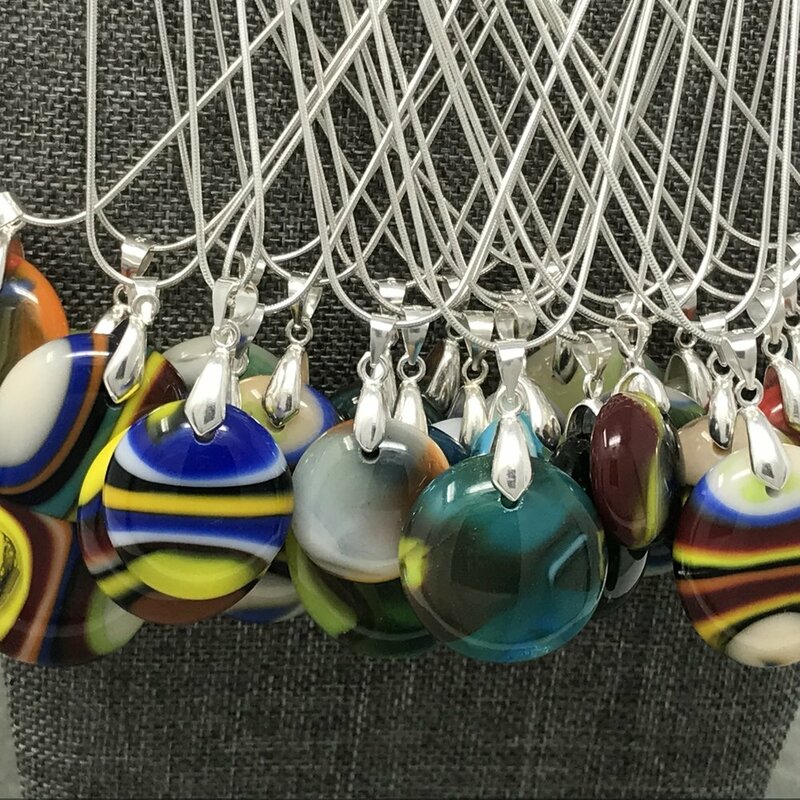 Unless otherwise requested, all necklaces come on an 18” sterling silver snake chain as pictured and come packaged for gifting or for yourself. 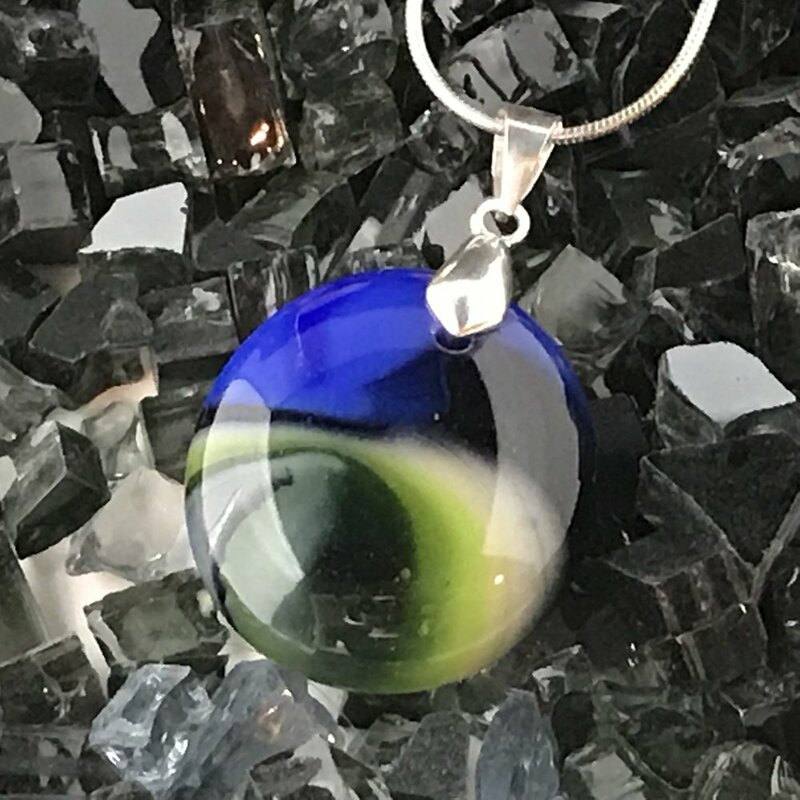 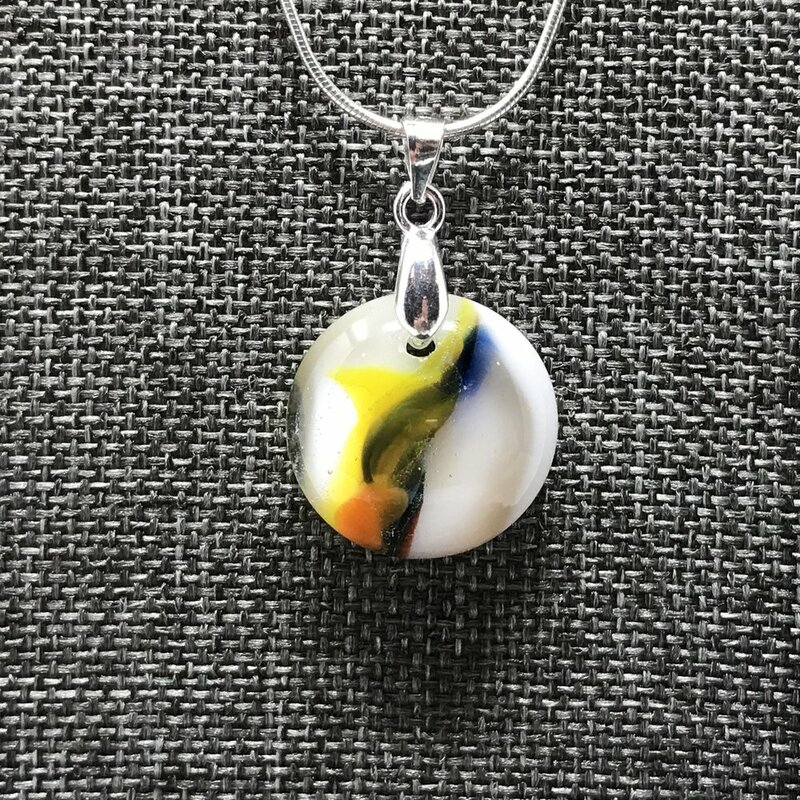 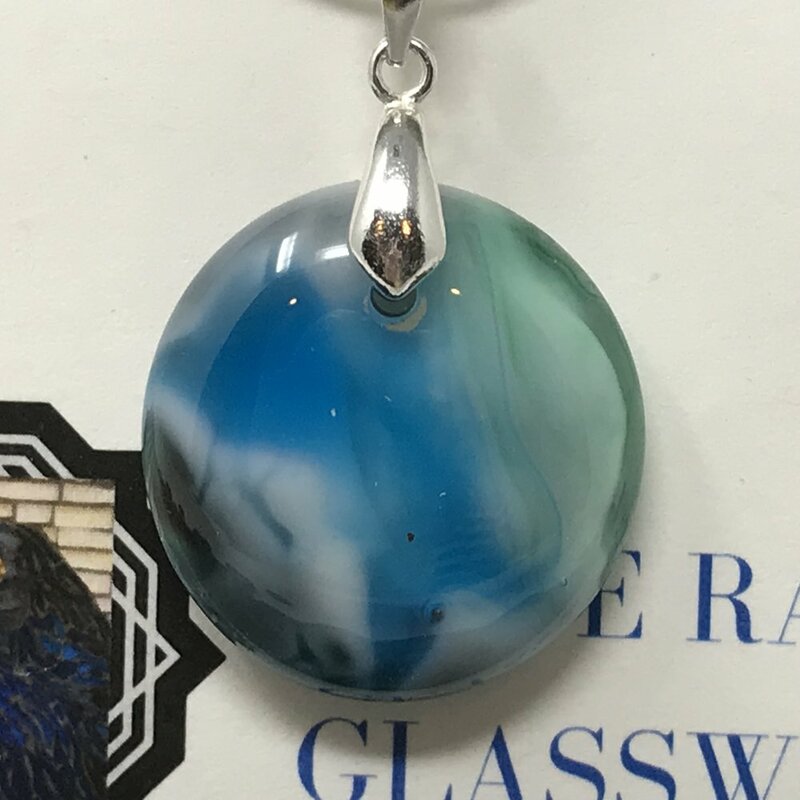 Jewelry can be purchased here or click the link to the Blue Raven Glassworks Etsy store.